Solana Beach, Calif. – San Diego-based Hookit unveils an all-new brand identity and platform of tools and services surrounding the introduction of its revolutionary Hookit Score. 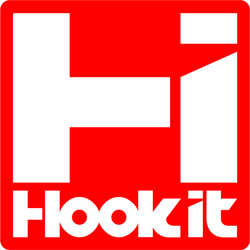 The Hookit Score is a ground-breaking evolution of the Hookit Index™, which was the first ever tool to track, quantify and rank athletes’ exposure and activity in the complex world of social media. The new Hookit Score is a 1-10,000 score and the new standard to effectively measure any athletes’ commitment, performance and reach in their respective sport. Hookit’s proprietary scoring engine tracks 15M pieces of data every day from hundreds of verified sources to track and compare athletes based on their fan base and exposure in social media, how often they do their sport, how much they travel, and their competition results at events.